Fireplace Decorating: Reluctance to paint that brick fireplace? 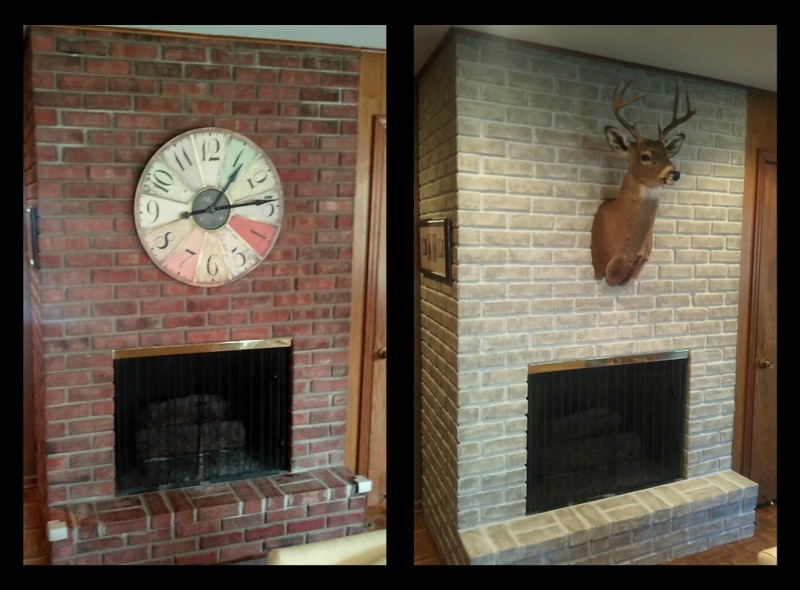 Reluctance to paint that brick fireplace? I sent my friend’s in Kansas a new brick paint kit, one that I have used for the last few years. They were very pleased with the results and I wanted to share with you their photos and thoughts. Color Themed, Matte Finish, looks like brick paint kit with instructions. I ♥ painted brick! Looks great! Thank you so very much for sharing this at the "Cowgirl Up!" linky party. I appreciate your participation. I came across this post via "wednesday wowzers" - perfect timing! My parents are renovating their dining room and just last night my mom and I were discussing painting their brick fireplace! I'm off to explore the links you included. So happy to have stumbled across your site! Thanks for stopping by my blog and linking up to "Cowgirl Up". You have a great site. We painted our fireplace over a year ago and I have never been happier. Happy to have you as a new follower, I am following you now too! Great blog, informative and up to date. Bookmarking your page. Thanks and more power!